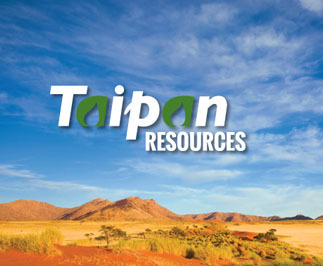 Taipan Resources Inc. says that the Company's Kenya based subsidiary Lion Petroleum Corp (Lion) has commenced an arbitration action against East African Exploration (Kenya) Limited (EAX), a wholly owned subsidiary of Afren Plc. This action has been filed in response to certain breaches to the Joint Operating Agreement (JOA) signed between EAX and Lion in respect of Block 1. This Request for Arbitration is filed on behalf of Lion in accordance with Article 4 of the Rules of Arbitration of the International Chamber of Commerce (the "ICC Rules").